The island is just too big for one blog entry. 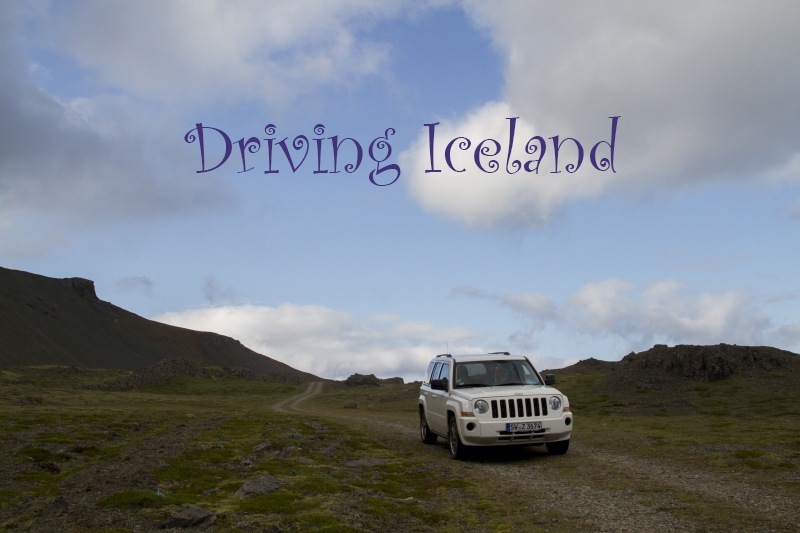 Part 2 of Driving Iceland is coming soon! 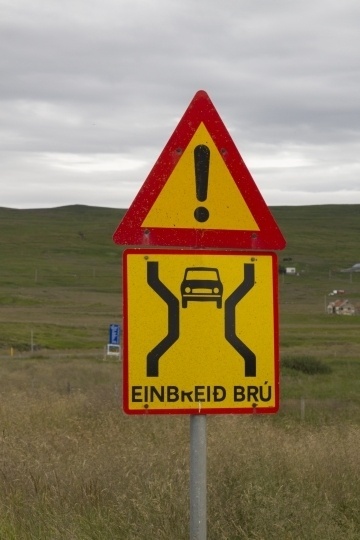 Have you been driving in Iceland? What was your craziest moment? We arrived on the ferry in Seydisfjordur on the morning of July 24th. Getting off the ferry was a simple matter, we had been able to bring the luggage down to the car when they opened the car deck two hours before arrival so we were just walking down the stairs and getting in the car. We were on one of the rising ramps so had to wait for all the cars and trucks below us to go before our deck could be lowered. All in all, we were off the boat within 30 minutes of pulling into port. We drove off the ship and failed to notice the information center we drove right past. In need of cash and a map we drove through customs and out the ferry exit to a gas station and bank that were strategically placed right there. Icelandic kronor in the wallet we went in to the gas station but no maps or coffee were to be found. We hit the road and drove a couple more blocks past colorful painted wood-sided houses to the grocery store. Here we bought some skyr, nizza chocolate bars, and a map of south Iceland (20 bucks!). Still no coffee, but by now we needed a bathroom before hitting the road. 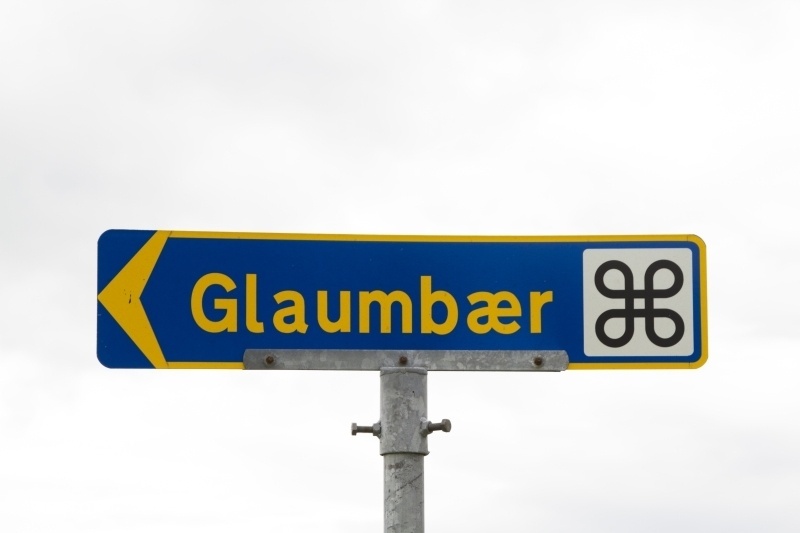 We had noticed the little “i” as we drove out of the gas station so we headed back towards the ferry exit. This time we noticed the long, green information center/ferry passenger check-in building. Inside we found a small cafe, some souvenirs for sale, clean bathrooms, and maps! I bought a map of the whole country for IKR 1900. We ended up using this map for the whole trip, never once even opening the more expensive regional map from the grocery store. Finally ready to hit the open road we took off up the track out of Seydisfjordur towards Egilsstadir. On highway 93 we drove up the mountain pass, winding between cliffs, lakes, waterfalls, snow patches and on up into the clouds. Each of the pull outs along this stretch had amazing views but were full of our fellow travelers from the ferry who had got out of town ahead of us, so we decided to keep driving right on past the natural splendor with the intent of stopping on our way back at the end of our trip. It was cold and misty so this decision wasn’t hard to make. The weather was slightly better at the top of the pass and we did pull out for a look into the valley below us and all of Iceland beckoning. 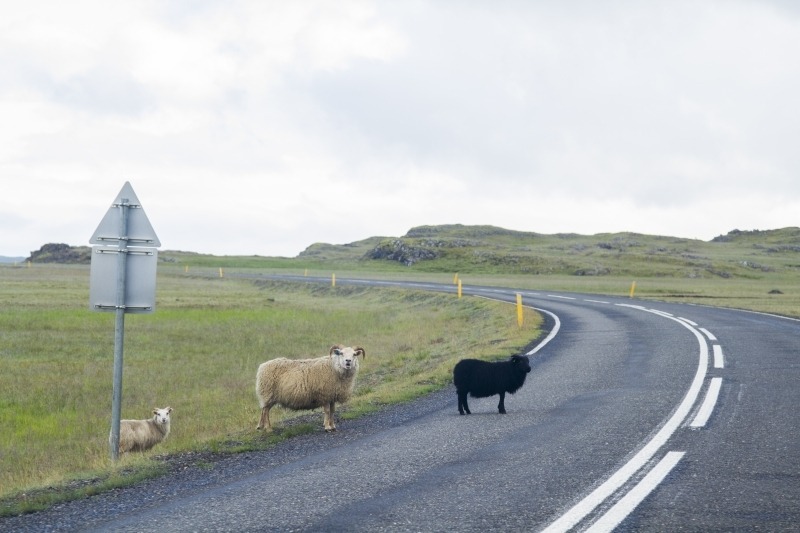 Sheep on the road? Of course, this is Iceland! The road down the pass on this side was steeper, windier, and had several stretches of fresh laid gravel. A little unnerving but the jeep had no problems doing most of the road at the 90kph speed limit. At the bottom of the hill we found two of our fellow ferry passengers standing next to their parked motorcycles. She was crying and gesticulating, he was trying to console her and convince her that the ride down that hill was probably the worst they’d encounter. We didn’t have time to stop and chat, and other than her nerves, there didn’t seem to be anything we could help with so we left them there and followed the GPS toward our first destination, Hofn, about 200 km away. We quickly realized the GPS didn’t want us to take the scenic routes, so within about 30 km we turned it off and stowed it in the back. It would ride out the rest of the trip there, never to be referenced again. We don’t usually like to use the GPS unless trying to find a specific place, but we found that the map was far superior and the GPS didn’t have any of our specific destinations in its database. Too many sites weren’t in our GPS database, so we turned it off and stowed it for the entire trip. In Egilsstadir we had a choice, take the GPS recommended route down inland route 1, more direct and probably beautiful (most of Iceland is), or route 92 toward the coast. We love coastal drives, fjords, and fishing villages, so this was a no brainer. We drove a little out of our way to Eskifjordur, a small picturesque fishing village with traditional red and black painted houses on the water. We took some photos of the houses and boats in the harbor then back to the southern road and continued along the coast down route 96 and eventually joining back up with the ring road, route 1, at Breiddalsvik. We stopped for coffee in the village of Djupivogur. We spent some time sipping coffee and tea, eating a piece of chocolate cake, and chatting with an older Spanish lady who was traveling around the country on her own. She would take the bus to the next stop each day, set up her tent and spend the night before moving on the next day. The camping was nice, she told us, because the grass was soft and she had a survival folie which she put under her sleeping bag to help keep her warm. She’d been traveling like this for a couple weeks so far out of her planned, month long trip. It was somewhere along this stretch of road that we got a little adventurous and went “off-roading”. OK, so we both needed a bathroom break and since there was no services for several miles, we took a side road (track really) down towards the beach. We found a beautiful, secluded, cliff-side gravel area to park and walked around, took care of business, shot some photography of the wild coastline, and then decided to take a different track, parallel to the beach and the main road. This was a little bit rough, but no real problems until it ran down into a gully and then up a steep, soft sandy incline out the other end. I put it into 4 wheel drive and went for it, The wheels started sinking in at the top of the hill and just as the frame was hitting the ground the wheels caught and took us safely over the top and out of the sand. We finished up the rest of the track tow the main road with no other problems. But that was the only time we really needed 4X4 on the entire trip. 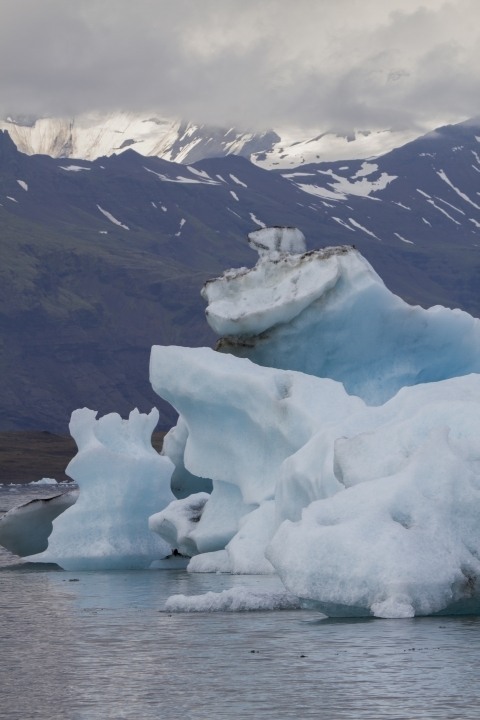 So do you need four wheel drive to tour Iceland? I guess the answer is, four wheel drive and good ground clearance will give you options on where you can go. It will open up more of the country than you could do otherwise. We saw some gigantic beasts on the ferry, I’m sure they had a great time, tearing up the interior with their big knobby tires. However, it is important to remember that in many areas it is illegal (not to mention unethical) to leave the established track. As visitors to this beautiful land we have a moral obligation to leave it as unspoiled as we found it. And if we should find an area that has been marred, we shouldn’t add to the destruction. On our map, we had red and orange solid color lines for roads and then dotted lines. The red roads are the main highways and usually are paved surfaces. Expect two way traffic in their own lanes through most of this. 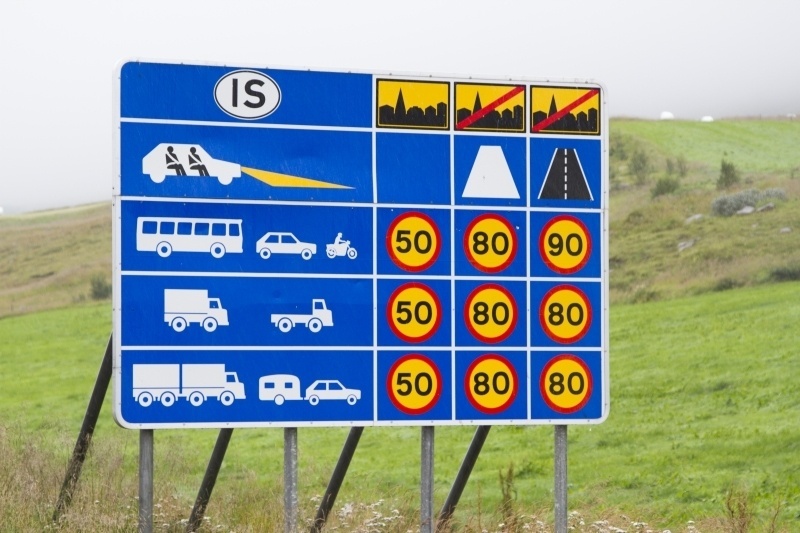 There are some two and three lane sections around Reykjavik and some very narrow two way traffic sections in the nether regions but overall these are easy, safe driving. The orange roads, on the other hand, are gravel or dirt tracks of varying widths and conditions. The general rule here is that pretty much any car can travel these roads, but be ready to go slow through the rougher patches if you don’t have good clearance. Two big issues to deal with on the road are one way stretches. These were mostly well marked as to who had the right of way (you should be familiar with international road signs for these situations). Most often these one way areas were on bridges. These bridges are very narrow with no room for passing. There is a waiting area on either side of the bridge for oncoming traffic and a sign indicating whether your direction should go on or wait. 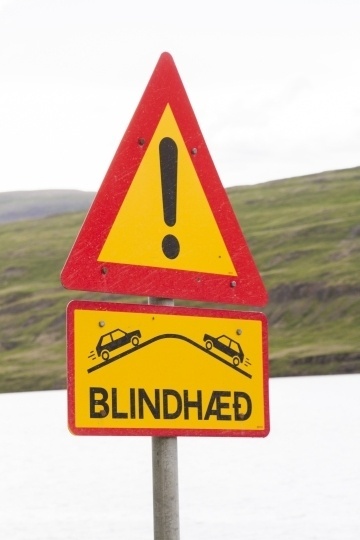 Of course, even if you have the right of way, if there is oncoming traffic on the bridge already, you’ll need to wait for them to clear the bridge before preceding. A few of the longer bridges had pullouts in the middle of the bridge where you could share the bridge with oncoming traffic. These bridges are easy to navigate, the majority of drivers are polite and patient, all in all the one-way bridge was not a very big deal after the first one or two were behind us. Watch out for the one way bridges. If you see this sign you don’t have the right of way. One-way tunnels, on the other hand, were always unnerving. These were handled in the same basic way as the bridges with more pull-outs inside of the tunnel where we could pull in and wait for the right-of-way traffic to pass. Then pull back out into the lane and keep going to the next pull-out to wait for more oncoming traffic. If you entered the tunnel with the right of way, it’s no big deal, provided the other traffic gives way you just keep driving through the tunnel. In theory, it is no different than the bridges, but in the dark, in a narrow tunnel, it was always a bit frightening. Regular international traffic rules are followed so driving is pretty easy. Traffic is light everywhere and it was no big problem to stop and take a photo pretty much anywhere we wanted. There could be more pull-outs for the gorgeous scenery, but we weren’t the only ones just stopping in the middle of the road. Most of the other drivers were tourists (even the Icelanders we encountered on the road were tourists) and they would stop right alongside and take the same pictures! Still, if you follow the rules you won’t have any problems. Be aware, there are speed cameras in some of the tunnels, and along some stretches of the highway. Also, cameras will take your picture if you run a red light. But most of this was found in the Reykjavik region. Hitchhiking is a common practice here. Most of the thumbs you’ll see belong to fellow travelers. If you have the space, pick one up and make a new friend or two! This is so cool! I with I could drive to Iceland soon. I loved virtually traveling with you so far, Corinne. Great tips here. 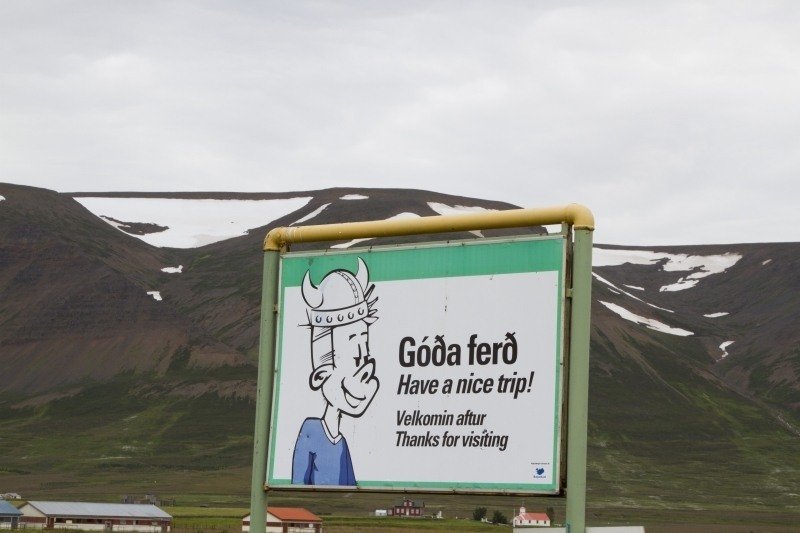 This brings back great memories of driving in Iceland. We only spent 4 days driving but enjoyed it a lot We stopped a lot to enjoy the scenery and watch the horses and sheep. We want to go back to Iceland soon. Mary, I think driving it is really the only way to see it. A bus would only frustrate me, but I know that it is the way a lot of people see it. I do hope you make it back there soon. 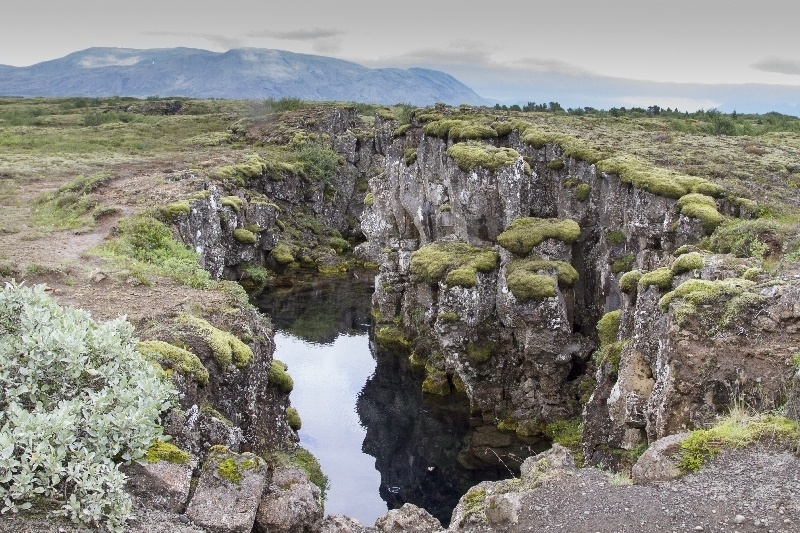 Definitely have hopes in the near future to visit Iceland – part driving and perhaps part cycling. Thanks for the tips. Leigh, It’s all rules of the road. I hope you make it there soon.